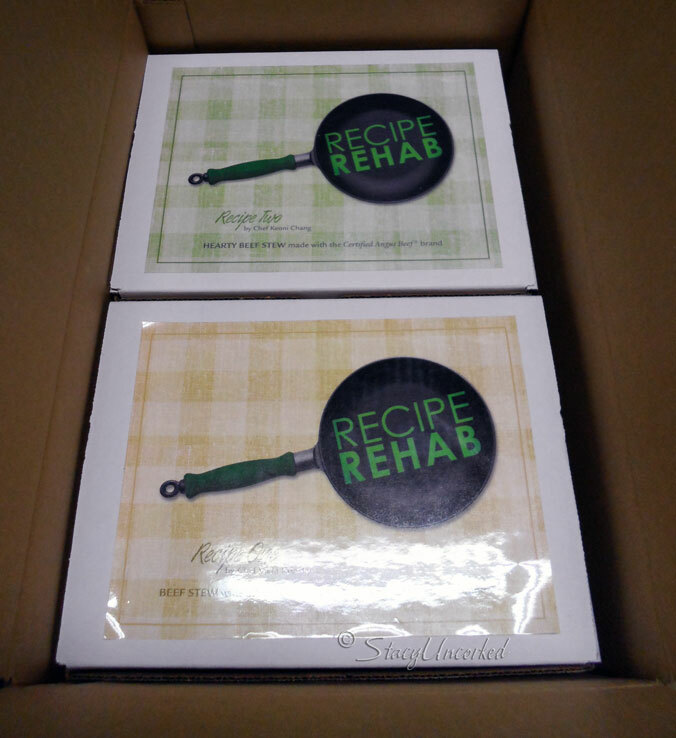 Have you heard about a show on CBS called Recipe Rehab ? If you ask me, it sure looks like lots of fun! The basis of the show is that families submit their favorite high calorie family recipe, then two chefs compete in a head-to-head contest to rework them into a much healthier and low-calorie version. After the two chefs rework them into a healthier version, the family remakes both of the chef’s versions in their own kitchen to choose their favorite. Pretty cool, no? Recently I had the supreme honor of being able to do my own Recipe Rehab make-and-taste, recreating two healthified versions of beef stew made with Certified Angus Beef® brand: Beef Stew with Barley, by Chef Vikki Krinsky, and Hearty Beef Stew, by Chef Keoni Chang. Beef stew has always been a favorite ‘go-to’ during the winter months (plus it gives me an excuse to use my crockpot). 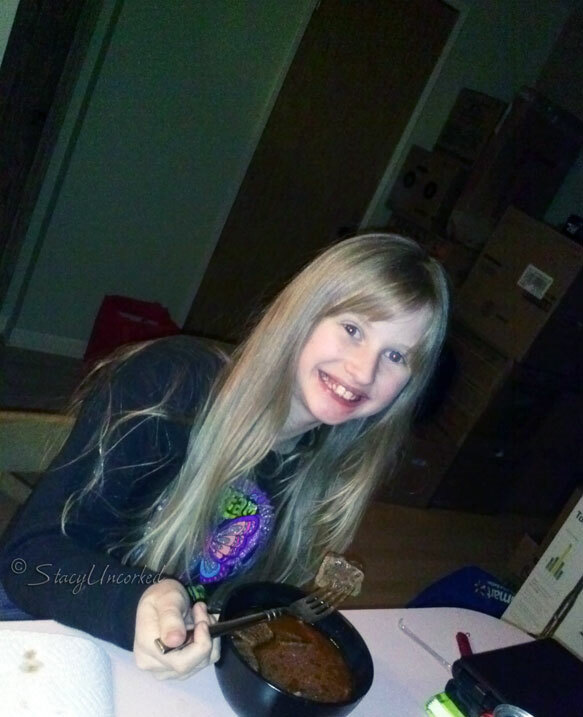 I received two cool boxes (literally, with ice packs and everything) that had amazing Certified Angus Beef inside, with the two recipe cards to try my hand at the recipes created by the two awesome chefs, with myself and my family determining which one was our favorite. Unfortunately my good cameras were stuck in boxes since we literally just moved into our new house (yay! no more Basement Dwelling!) and all the pics I took of the process with my cell phone just did not do the recipes justice. At all. But it was nice to have a ‘Beef Stew Weekend’ our first full weekend in our new house, trying one recipe one night, then the other two nights later. See? Told you my cell phone images just don’t do it justice. The original recipe calls for this to be served over cooked cauliflower, but only the hubby and I were on board with that – though leftovers the next day were inhaled without the cauliflower, and future makings of this particular recipe will undoubtedly see the cauliflower left out from the get-go. Beef Stew with Barley seemed more like a typical stew, and another perfect dish for a chilly winter day. The recipe has you pulse the mushrooms and spinach together with the other ingredients before cooking, but since my food processor decided to give up the ghost after our move, I ended up just chopping them up like a super ninja with mad knife skills. Ahem. Little Dude is still a non-lover of all things ‘stewed together’, particularly if there happens to be celery involved, his most hated vegetable. But he ate it. Eventually. Personally I liked the Hearty Beef Stew the most, because the flavors are harmonious, and the touch of lemon was a pleasant surprise to my palate. I never thought of adding mushrooms and lemon juice to my original beef stew recipe, but they work! I also really loved the Certified Angus Beef – it was so tender and juicy – every bite was melt-in-your-mouth delicious, so much better than any other meat I’ve used in beef stew in the past. I’ll definitely be getting more for other recipes in the not-too-distant future. It was an overall winner in our household. 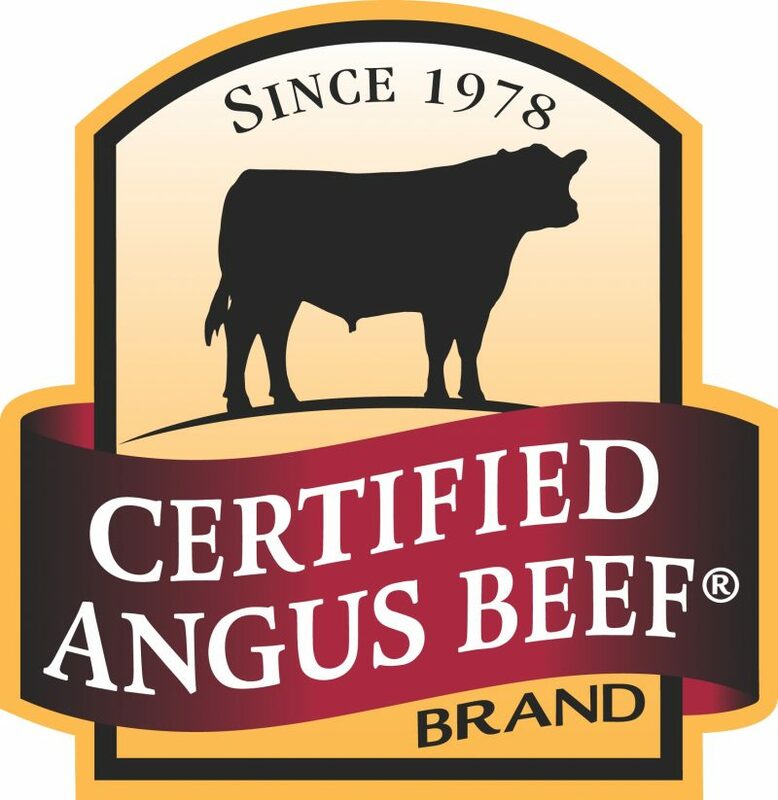 Certified Angus Beef® brand was established in 1978, and is actually the world’s first brand of beef. Seriously! Certified Angus Beef® brand is a cut above USDA Prime, Choice, and Select Grades — partially because of the nice marbling, which melts during the cooking process to add flavor and juiciness from the inside out. As a tip, if you’re looking for a leaner cut of beef for your own healthified recipes, look for the word “round” or “loin” in the name (such as “tenderloin” or “round roast”). 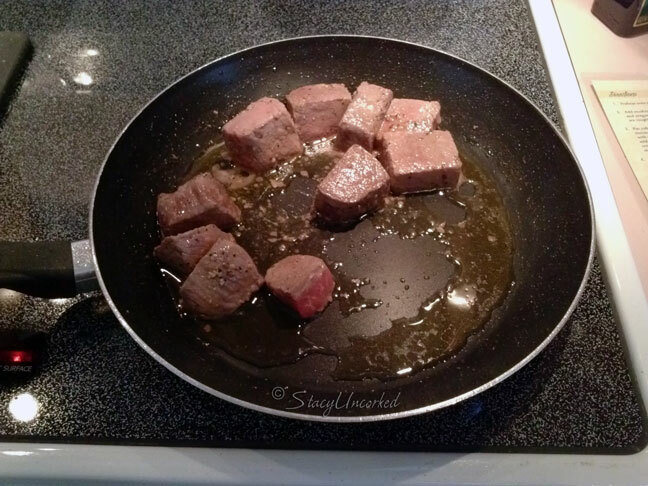 Also marbeling – the little white flecks in beef – is key to flavor. The higher the amount of marbling, the higher the quality of beef. The Certified Angus Beef ® brand is incredibly flavorful, tender and juicy because of the high amounts of marbling in every cut. Certified Angus Beef® brand will be featured on Recipe Rehab on CBS this Saturday morning, February 15, 2014. That’s when the official recipe winner of these two Beef Stew recipes will be determined – check local listings for air times, and check it out! Do you have a favorite Beef Stew recipe? 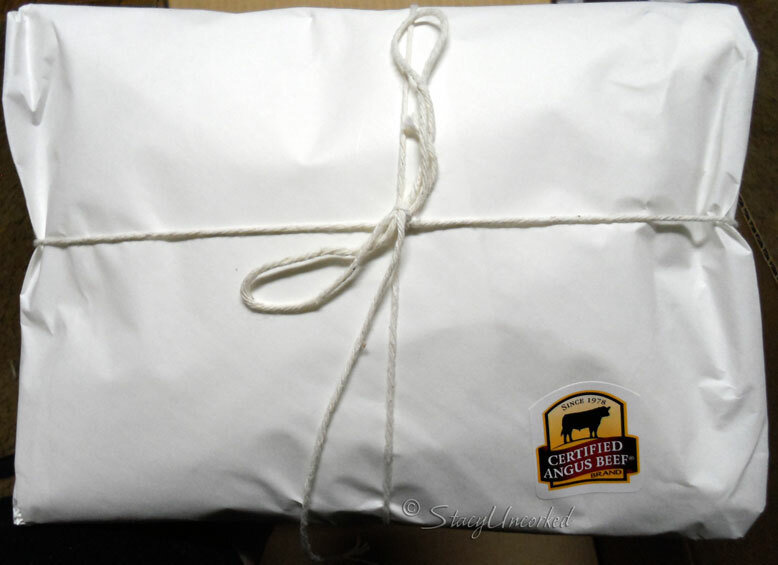 Have you ever tried Certified Angus Beef brand? Note: I participated in a campaign on behalf of Mom Central Consulting for the Certified Angus Beef® brand. I received product samples to facilitate my review and a promotional item as a thank you for participating. As usual, all opinions are my own and not influenced by outside sources. See my disclosure policy here. 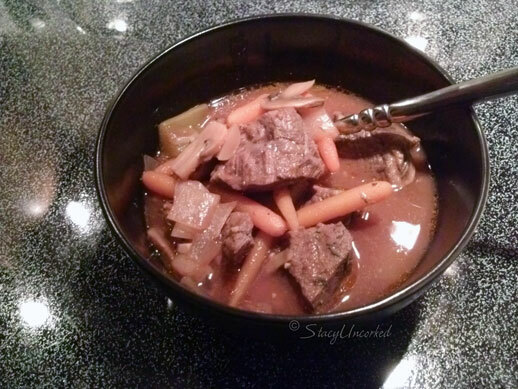 This entry was posted in Alert, Announcement, Review and tagged #beef, #RecipeRehab, Alert, Announcement, cbs, Certified Angus Beef, Chef Keoni Chang, Chef Vikki Krinsky, delicious flavors, family recipe, Hearty Beef Stew, lots of fun, Recipe Rehab, Recipes, Review by StacyUncorked. Bookmark the permalink. Hey Girlfriend: Congrats in moving in, but I know there’s surely a lot more work to do before you’re settled. That looks so very good… did you save me some? Who was that young lady sitting at your table? Now she looked familiar I must say! Now look if that’s who I think it was she needs to quit. All this growing going on is going much too fast. hehehe Nice talking with you & HAPPY VALENTINES DAY! Now I’m craving for those yummy looking beef chunks. I’ve always been a fan of beef stew but this version is healthier so I’ll save this for future use.